Assistant Attorney General Rob Sand has investigated and prosecuted cases of corruption, fraud and abuse for the past seven years for Iowa. Now he looks to use that experience to turn the State Auditor’s office into a more aggressive watchdog agency that keeps a check on powerful interests within the government and beyond. Today Sand announced his candidacy to take on incumbent Republican Auditor Mary Mosiman, kicking it off with a statewide tour that begins in his hometown of Decorah. The 35-year-old will likely be the only Democrat in the race. Preparations for the run have been months in the making, and Sand has put together an impressive list of Democratic activists and elected officials from across the state backing him (included at the end of this post). Many within the party believe he’ll be the most competitive candidate that Democrats have put up in many cycles for auditor, going up against a Republican who is little-known to most Iowa voters. But for much of the day before he launched his statewide candidacy, Sand wasn’t making last-minute phone calls or tweaking every detail of his tour. He was sitting high up in a tree in his backyard, bow in hand, waiting for a deer to pass by. “As soon as this interview ends, I’m going to go hunting,” he told Starting Line on Sunday, sitting in the basement of his Des Moines home where several deer he’s shot (most in Madison County) hang on the wall. Sand grew up in Northeast Iowa’s Decorah where he had jobs wrangling chickens as a teenager, spent most of his free time outside and got involved early on in local community activism (see our earlier profile of him here). His dream job in school was to prosecute white-collar crime, something he got to do soon after law school when he joined the Attorney General’s office in 2010. That brought him to Des Moines, where he started a family that now includes two young children. Throughout his time working for Attorney General Tom Miller, Sand started to notice shortcomings in how the State Auditor’s office – where most cases of government fraud begin – functioned. He’s seen mistakes get made in that process that likely wouldn’t have happened if the Auditor had a more diverse team. Sand suggested that Mosiman’s concept of the office is simply the state’s CPA – part of the job, certainly, but not all of it. He would prefer they build out a more complete team of professionals to better root out fraud. That focus would fit well into Sand’s background, whose lead role on the state’s “Hot Lotto” case brought him national attention. 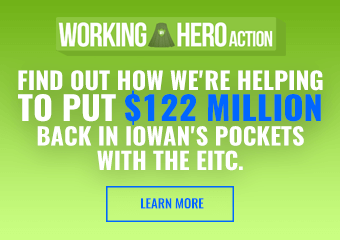 He also worked on and later led Iowa’s investigation into the film tax credit scandal, as well an investigation into a Department of Transportation worker who was selling the state’s right-of-way property back to himself. That approach could mean making some people with powerful positions in the government rather uncomfortable. And that’s part of Sand’s critique of Mosiman’s performance – that she’s been unwilling to hold the Republican administration in Iowa to account for questionable budgeting practices and more. The biggest concern is Mosiman’s mostly uncritical view of fellow Republican Kim Reynolds’ budgeting practices this year. Several months she ago she described Iowa’s budget as “balanced,” “stable” and “responsible.” Democrats have lambasted Reynolds and former Governor Terry Branstad’s massive borrowing and inventive budgeting tricks to keep the state afloat. “We borrowed $160 million bucks – Culver borrowed less when there was an actual economic downturn,” Sand said. He also sees opportunities to use the office to come up with cost-saving efficiencies. The Auditor’s office is supposed to look at ways to reduce duplication, spend money more efficiently and ensure government agencies are getting the best prices for goods and services. Since they’re poring over government spending numbers anyway, they ought to have a unit specifically devoted to efficiency work, Sand believes. 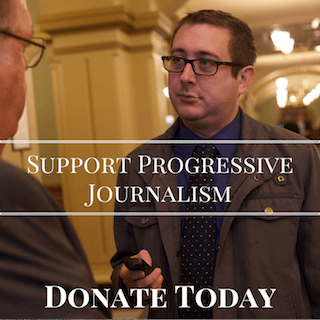 Mosiman, who took over the office in 2013 after former Auditor Dave Vaudt left, has had only one statewide win (in the 2014 Republican wave year), and isn’t nearly as well-known as Iowa’s other statewide elected officials. Still, a Democrat winning the office would be a big change. Only four Democrats in all of Iowa history have held the office, the most recent being Lorne Worthington in 1967. Aside from his prosecutorial experience, however, Sand also hopes to have a broader appeal than most Democrats do in rural Iowa. Sioux Center, located in Iowa’s most-Republican county, is on the itinerary for Sand’s kick-off tour. And he noted that he’s made it a point during his time in the Attorney General’s office to ensure people in small town Iowa were included in the process. The travels should also give him some excuses to get out for some of his favorite outdoors activities, though his current goal is to get three more urban deer tags so he has a chance for an urban buck tag next year. He already got his statewide tag, nabbing an eleven-point deer in Madison County last month. PREVIOUS POST Previous post: What Every American Should Ask: Which Party Do You Trust On Healthcare? Rob will be a great candidate and a great State Auditor. But please check your facts: Democrat Lorne Worthington was elected State Auditor in the LBJ landslide of 1964 and served for two years, after which he was appointed Commissioner of Insurance from 1967 to 1971, when he joined Preferred Risk Insurance. 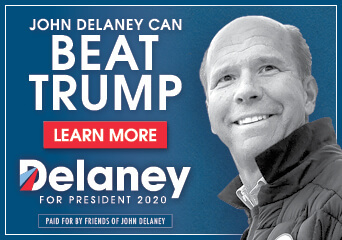 A passionate Democrat, he was associate chairman of the Iowa Democratic Party from 1972 to 1973, co-chairman of the Jimmy Carter’s Iowa finance committee, and when he moved East he was co-chairman of Joe Biden’s New Hampshire campaign in 1987. He died in 1999. Lorne’s daughter lives in Southern Iowa.